A solitary red leaf in a puddle of dark leaves – pretty much as I found it, I removed one yellow leaf to eliminate it as a distraction. I had been walking in a park near to Carterton Leisure Centre while my daughter was having a swimming lesson on Saturday, many of the trees were turning, but not all of them…yet! 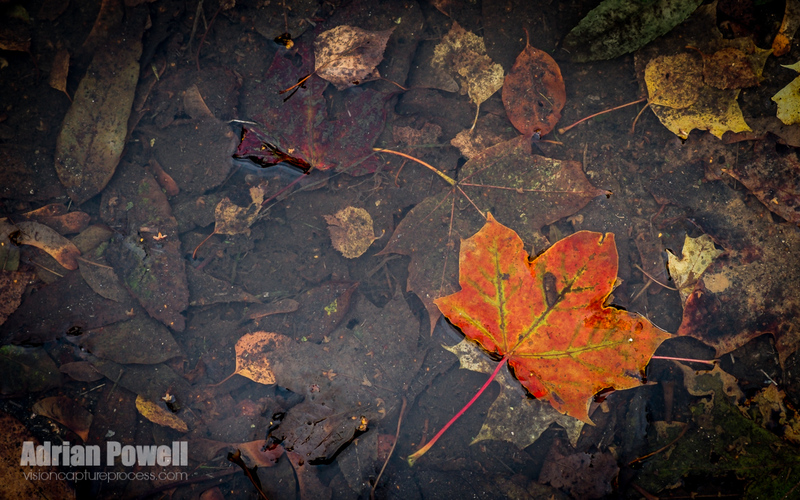 I came across this red leaf in a puddle just as I was starting to make my way back and liked the way it stood out. Processed in Lightroom to boost the colours and darken some of the leaves a little, then I cropped, sharpened and added a slight vignette.